The U.S. Supreme Court’s decision this week upheld the constitutionality of the Affordable Care Act’s "mandate" requiring adult Americans to purchase health care. The full range of the Court’s decision requires further study. Central to the decision, however, is the fact that the law will significantly expand health care for over thirty million people. 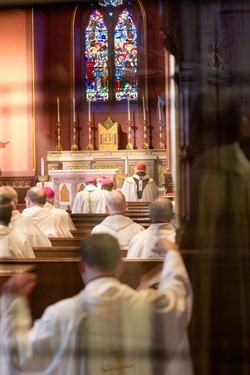 The Catholic Bishops have for decades supported the principle of guaranteed access to health care as a basic human right. Our position has been and remains based in the dignity of the person and the right to health care which requires protection in civil law and public policy. 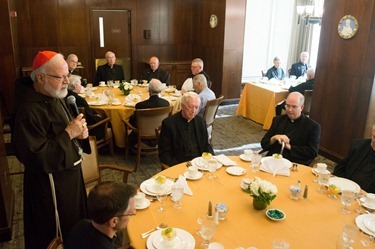 While supporting this extension of health care, the U.S. Bishops Conference reminded us this week that since the passage of ACA, the Church has encountered significant challenges to its institutional religious freedom. 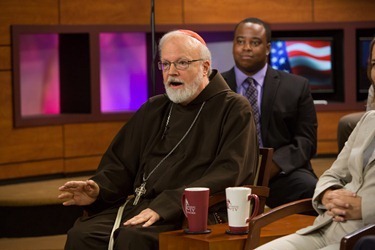 Most notable is the requirement that Catholic health care, social service and educational institutions provide services to their employees which violate Catholic teaching. 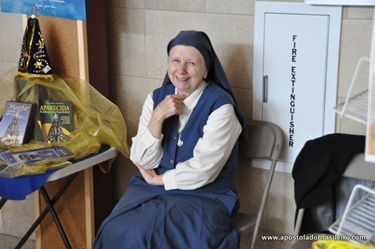 Among the multiple aspects of ACA that require further deliberation, the protection of religious freedom in institutions that serve the American public must be secured and sustained. 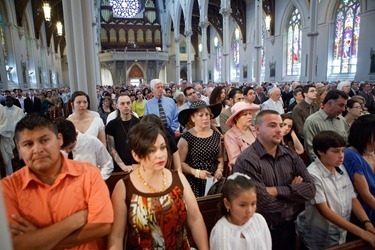 Intrinsic to the right of religious freedom in a pluralistic society is the need for adequate and appropriately defined conscience clauses which protect professionals in fulfillment of their duties. 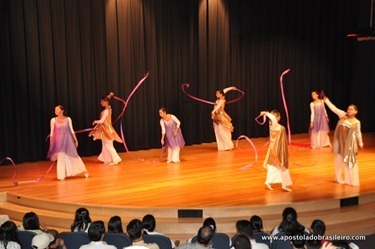 The Church will continue to pursue these objectives vigorously. Finally, the ACA does not adequately address the needs of immigrant communities in our country. Health care as a human right and the need for it among some of the most vulnerable people in our nation is one of the reasons why access to health care should be extended beyond ACA. 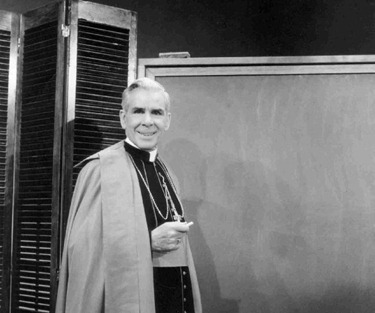 We were delighted to hear this week that Archbishop Fulton Sheen was proclaimed venerable. 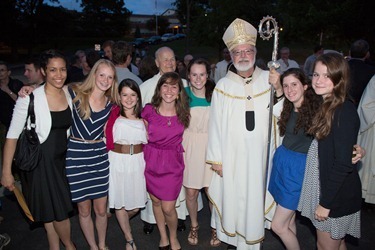 It was my privilege as a child to serve Mass for him many times. 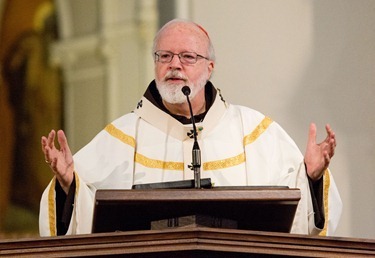 The last time I saw him was in 1975 when I invited him to give the priests of Washington a presentation on social justice, which he did at Harkey Theater at Catholic University. 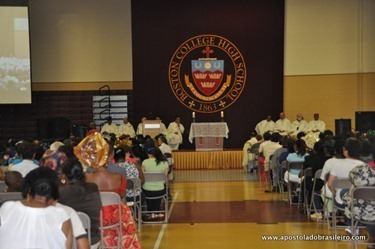 A full theater of several hundred priests gathered to hear him, and he did not disappoint. He was just as inspiring as always. 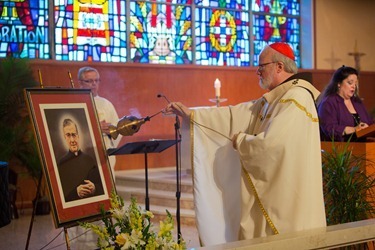 He was a man who made an incredible contribution to Catholicism in United States and to the mission of the Church throughout the world through the Society for the Propagation of the Faith. 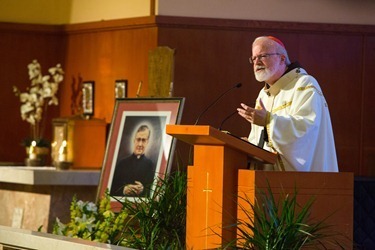 Many people were brought into the Church because of his preaching and example, and he remains for us a wonderful model for the new evangelization. 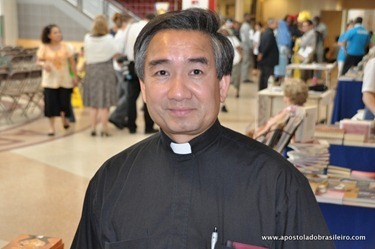 We look forward to the day when he will be beatified. 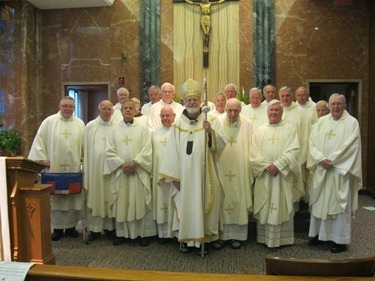 Each year we have celebrations for the jubilarian priests celebrating 50 years of their ordination. 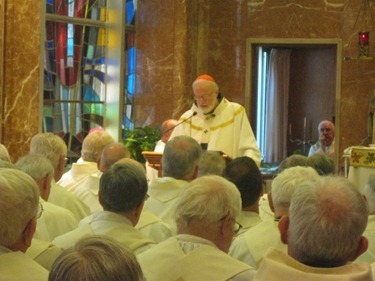 So, I was very pleased to join them Thursday at Regina Cleri for a Mass with the community. 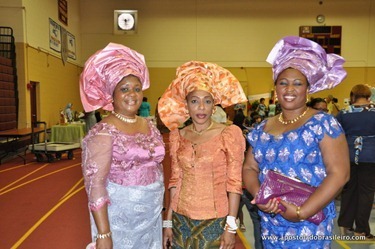 Afterwards, there was a reception and dinner. 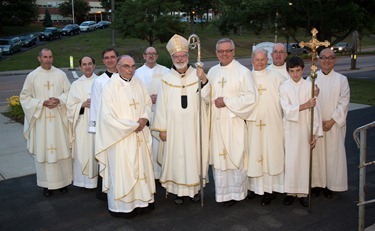 I was also joined by the auxiliary bishops and other priests of the archdiocese in giving thanks for the lives and service of these men. 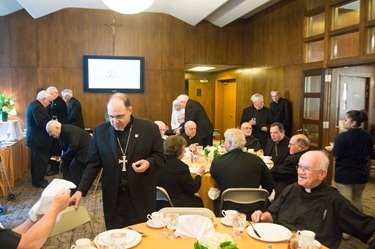 It is always a very inspiring event to be with priests who have made such a contribution to the Church through their ministries and fidelity. 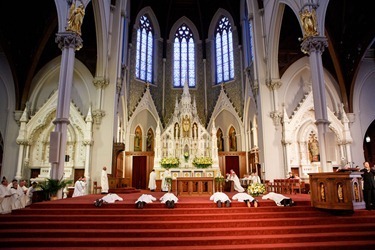 This Saturday, as many of you know, we ordained Fathers Eric Bennett, Eric Cadin, Felipe Gonzalez, John Healey, Adrian Milik and Michael Sheehan, FPO to the priesthood at the Cathedral of the Holy Cross. The day started out very rainy and overcast, but by the end of the ordination the sun was shining and the weather was beautiful. 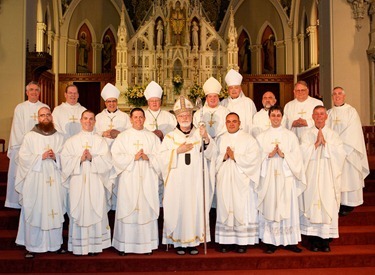 It is always a very humbling experience to be able to celebrate priestly ordinations. 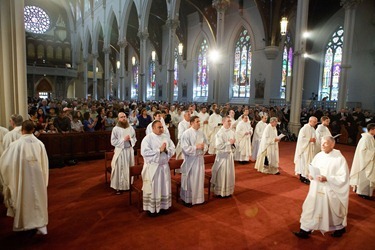 We were very pleased to see a full Cathedral of people present to accompany and pray for the six men as they received Holy Orders. 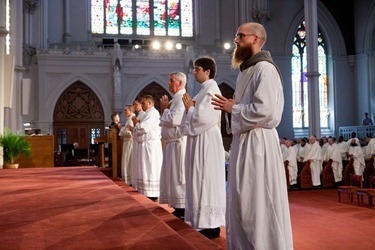 As always, after receiving the priests’ first blessing, I urged our people to pray and work for vocations in the Church. 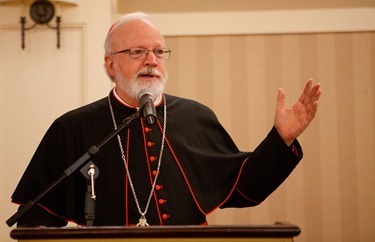 We also thanked Bishop Arthur Kennedy for his work at St. John’s, as he is leaving that responsibility to become our Episcopal Vicar for the New Evangelization. 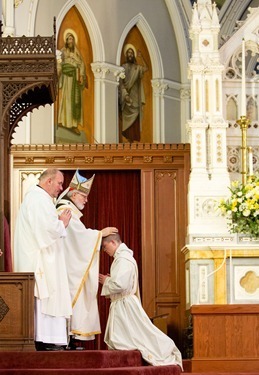 You can see more photos of the ordination from our archdiocesan newspaper, The Pilot, here. 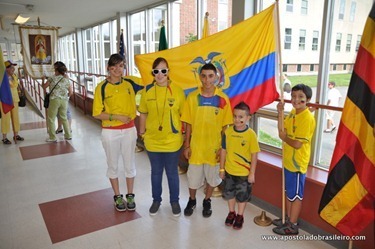 That afternoon, I went to be part of the Catholic family Festival held at Boston College High School. 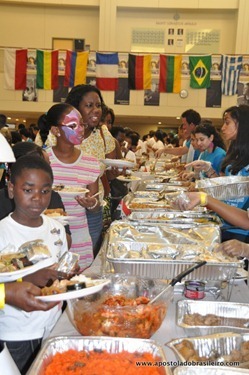 There were 1,800 people there from the different ethnic communities in the archdiocese. It was an extraordinary experience. 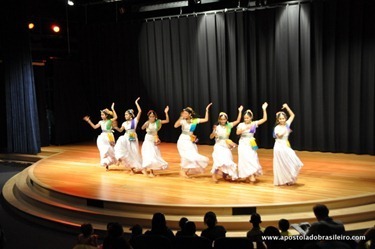 The festival featured 16 different dance groups and five praise and worship bands. 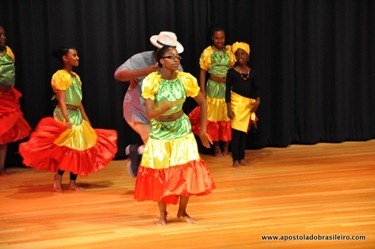 There was 120-member family festival choir drawn from members of the various ethnic group and the number of children’s choirs. 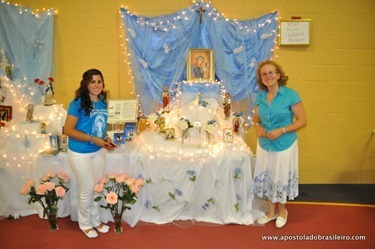 They even had a Catholic magician! 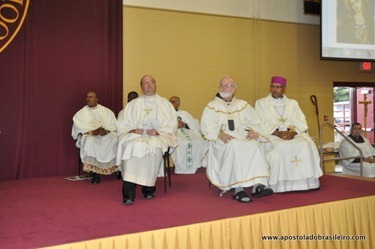 At the Mass, I was joined by over 30 concelebrating priests and Bishop Abune Lesanu-Christos Mateos, auxiliary Bishop of Addis Ababa, Ethiopia, who was here visiting. 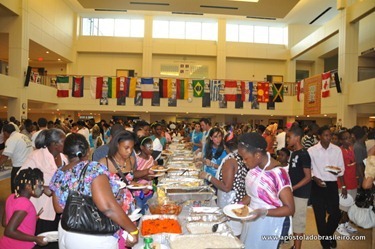 The evening ended with a meal comprised of food from all the different countries that were represented there. 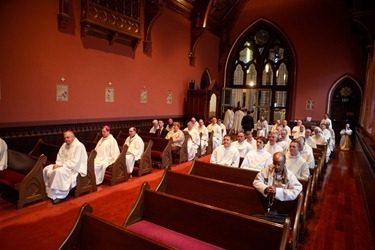 It was a beautiful manifestation of the catholicity of the Church and, being on the Feast of St. John the Baptist, a call to work for evangelization. 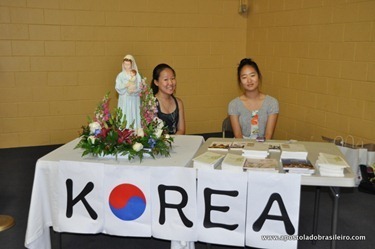 I am very grateful to Father Michael Harrington, our Office for Outreach and Cultural Diversity and all of those who coordinated in organizing the event. 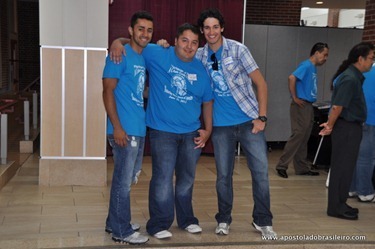 I understand that there was also a group of 130 young-adult volunteers who gave their time to make the day a success. 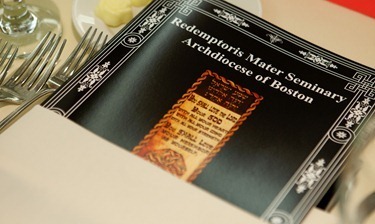 Sunday, I attended the Third Annual Gala Dinner to benefit the Redemptoris Mater Seminary of Boston. 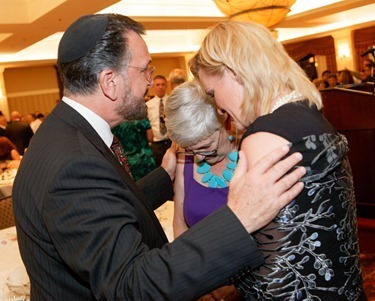 The honoree at this year’s gala was Rabbi David Rosen. 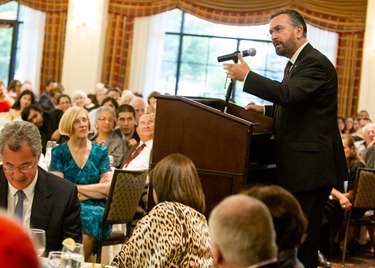 Having Rabbi Rosen with us this year was a great honor. 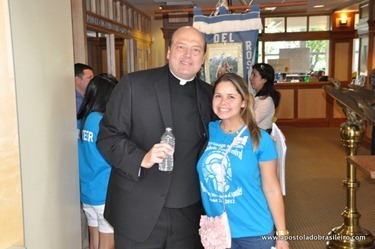 He is a very important figure in the field of Jewish Catholic relations. 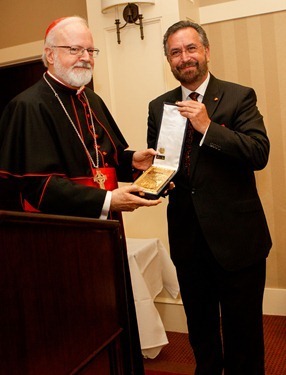 He is the former Chief Rabbi of Ireland and is now in Jerusalem as an advisor to the Chief Rabbinate of Israel. 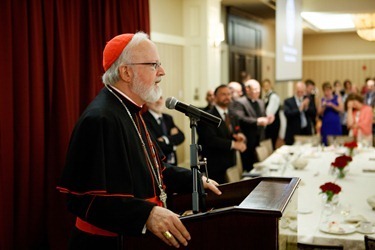 He was a key figure in the dialogue between the Holy See and Israel during the time of the establishment of full diplomatic relations and was also instrumental in helping to arrange the visit of the Holy Father to the Holy Land. 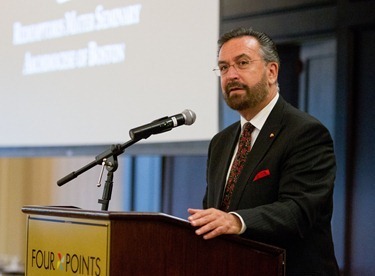 His presence at the dinner, accompanied by many leaders of the local Jewish community and rabbis, was a clear indication of the very high regard that the Jewish community has for the Neocatechumenal way. 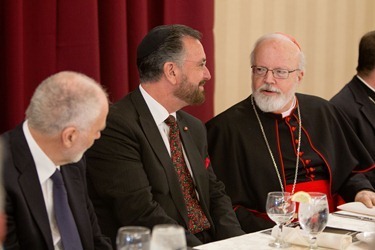 Everyone was very inspired by his address and his great desire to promote a very close and fraternal relationship between Catholics and Jews. 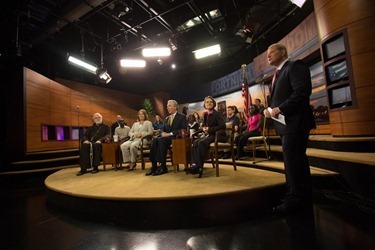 I was very pleased by the results of our effort to use the CatholicTV Network to hold a town hall meeting program, the Fortnight for Freedom Forum. 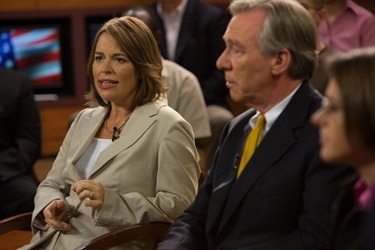 We were very blessed to have an extraordinarily articulate group of people participate with us: President John Garvey of Catholic University, attorney Kim Daniels of Catholic Voice and our own Angela Franks of St. John’s Seminary. 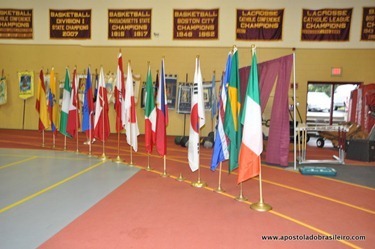 We were also pleased to be able to include remarks by Supreme Knight Carl Anderson. 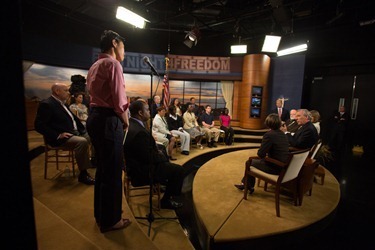 The evening included panelists making presentations and taking comments from a live audience as well as those using the Internet — Facebook, Twitter and e-mail — to address their questions to the panelists. 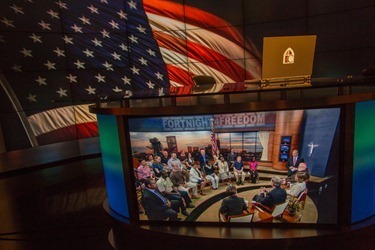 Many people had worried that the Fortnight for Freedom would become superfluous had the Supreme Court decided to strike down the Affordable Care Act in its entirety. 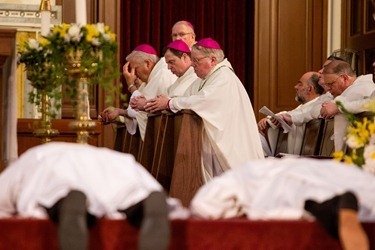 However, as it turns out, the bishops’ decision to go ahead was a wise one. 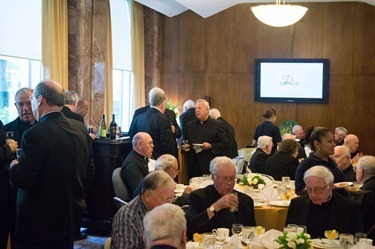 However, even if there had been resolution to this particular problem, there are also other issues concerning religious freedom and protection of conscience that are of paramount importance to the Church. 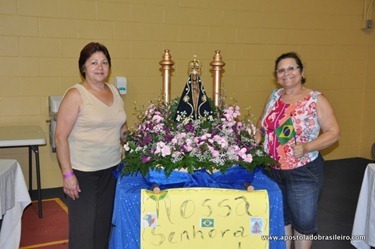 Therefore, it is important to use this special time that continues until Independence Day for prayer, reflection and education around these issues that affect the life of our Church so deeply. 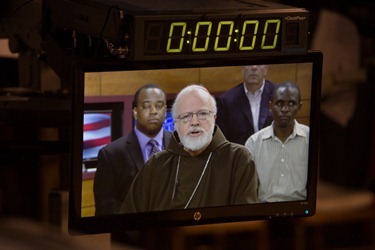 Religious freedom is not just the freedom to worship, but is the freedom to live our faith. 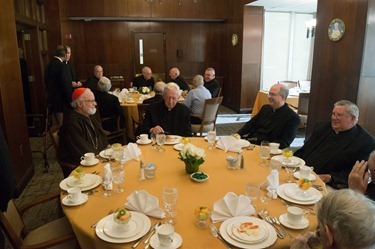 It is important that the Church be able to define what constitutes a Catholic institution, not the government. 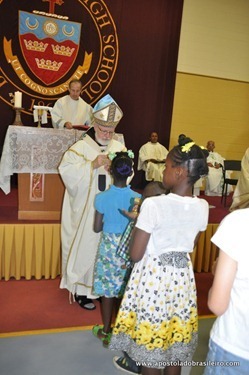 On Tuesday I traveled to St. Margaret Mary Parish in Westwood to celebrate the feast day Mass of St. Josemaría Escrivá de Balaguer, the founder of Opus Dei. 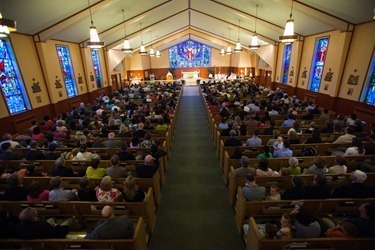 It was a full church and a very beautiful celebration. 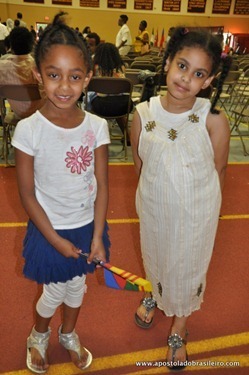 I thanked those in attendance for their participation in The Work. 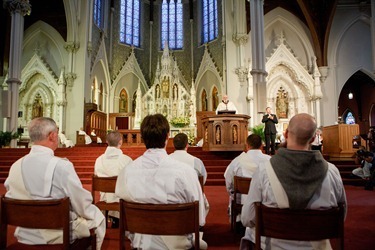 Their spirituality and their commitment to the interior life make a great contribution to the Church in Boston. I mentioned that the title comes from medieval maps where unknown, presumably dangerous, parts of the globe were labeled hic sunt dracones, which means “here be dragons.” I commented that if medieval cartographers were still doing their work today, they might put this label on some parts of our own country, as we face the difficult problem of religious freedom nationally, and the promotion of physician assisted suicide here in our own state. We all have to work to face these challenges that have arisen in our country and in our community by standing up for our faith.